I am not vegan, but I do eat alot of 'vegan' foods and don't consume a lot of dairy. The only dairy I do tend to eat is in chocolate or cheese. 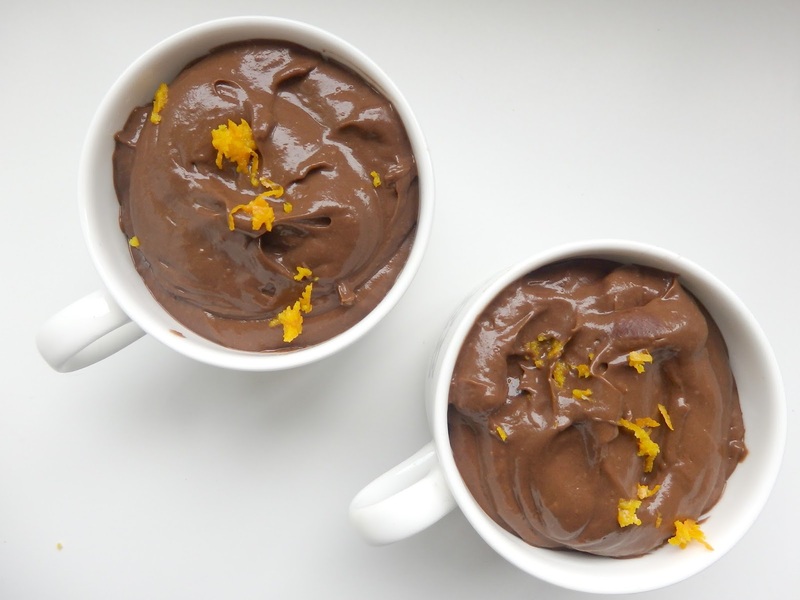 I have seen multiple chocolate mousse recipes using avocados and thought I'd give it a bash. I will say you need to like avocados as their is a mild taste of them but only because you know it's there. Here is my interpretation and if I say so myself it's bloody lovely. I also added a pinch of salt and a couple of tablespoons of truvia at the end. 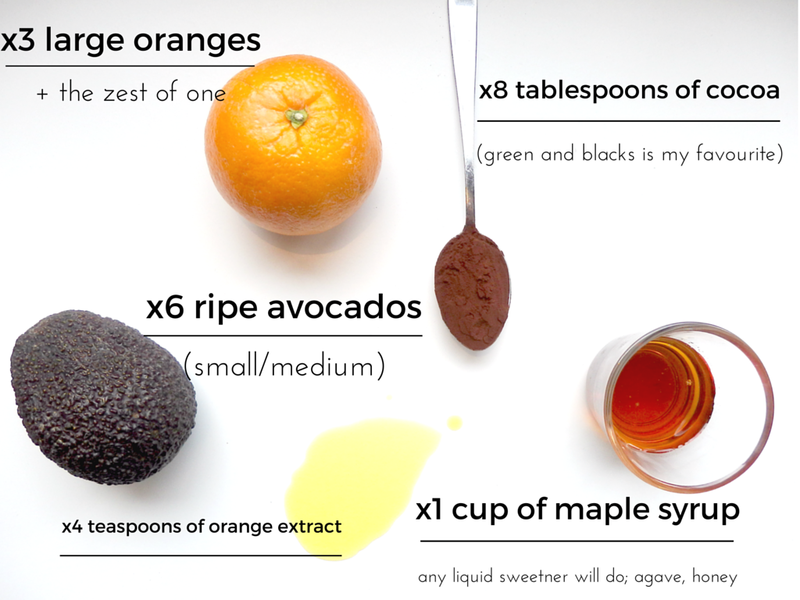 I used maple as that is what I had in but any sweetener will do; honey, agave etc. I love chocolate orange which is why I went for this flavour but most things would work. I think some fresh mint would be delicious! This makes around 8 servings - it is very rich. Firstly skin and mash the avocados, they need to be very ripe. The juice the oranges and zest one. Then put all the ingredients in a large bowl and blitz. That's it - told you it was easy. 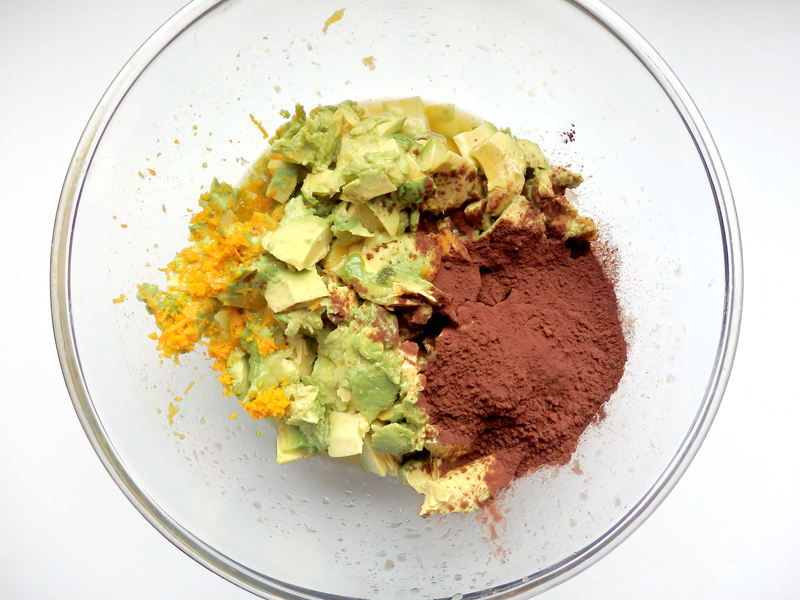 If you have a food processor blitz until smooth, portion up and chill for a couple of hours. I was really happy with these and it certainly curbed my craving for a Terry's chocolate orange.